A Recent Trip to China took me to Shanghai, Hangzhou, Suzhou, Xi’an, Yichen and Beijing. We flew from London via Dubai to Shanghai. A long trip indeed. Arrived in the baking heat and humidity of Shanghai. Took in the sights of Pudong and the Pearl TV Tower. Also walked around the Remin Sqaure and Flower / Animal Market. 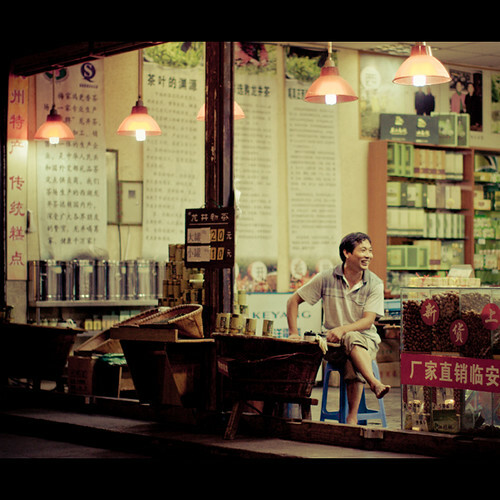 Took a trip at night down the Nanjing Road, but as a tourist you get hassled a bit to buy all sorts of tat. The view from the top of the TV Tower is amazing as you can walk around the outside on a glass panel, if you have the nerve! 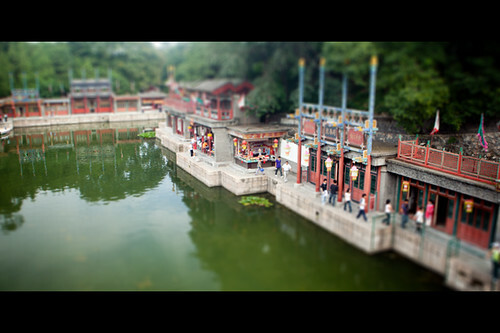 The Yu Yuan gardens and market are great for tourists. 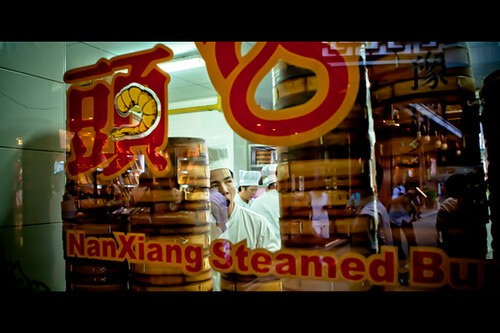 We had to visit the world famous dumpling restaurant for soupy Shanghai Dumplings. Here are the staff making the dumplings. The take away side of the business does really well the queue was huge a mix of local chinese and tourists. This lady was on the corner of a busy main road in Shanghai selling her food. It was late afternoon so people were on their way home so a quick snack could be in order on their way home. A couple of hours on the Chinese Bullet train is Suzhou. The weather was baking hot and humid when we arrived in late August. This could be a really nice place when its cooler in the spring. 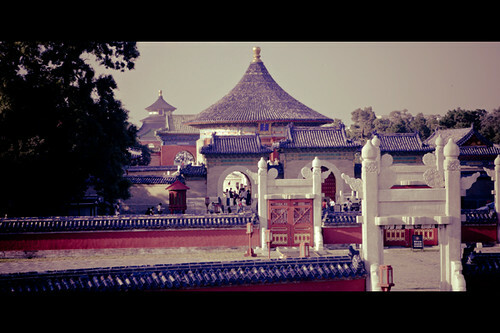 This photo is of North Temple Pagoda is one of Suzhou’s less restored and therefore more authentic, temple attractions. Built in the 3rd century, and rebuilt in the Ming Dynasty, North Temple Pagoda (Beisi Ta) towers over modern Suzhou and is a great place to get a fantastic view of the city. The temple is said to be the tallest pagoda south of the Yangtze River. One way of getting round in China and especially to beat the heat in Suzhou was the ricksaw, these guys could be a bit to overpowering in their persistence to get you to take a ride. After Shanghai we headed to Xi’an which was our base for the trip to the see The Terracotta Army. 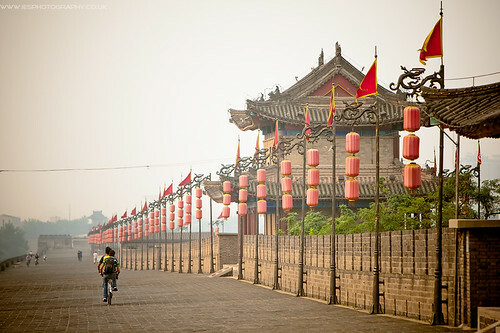 Firstly we visited the Bell and Drum Towers located centrally in Xi’an. This shot is from the Drum Tower looking down at the bustling Muslim market below. As night fell the market in the Muslim Quarter of Xi’an lit up and all sorts of food was on sale, consisting mainly of meat skewers, nuts, and Quail Eggs. Lots of nik-naks to tempt you to spend your Yuan. 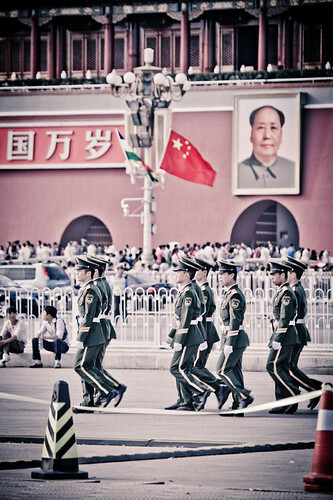 The Main reason for going to Xi’an is its close proximity to the site of the Terracotta Army. 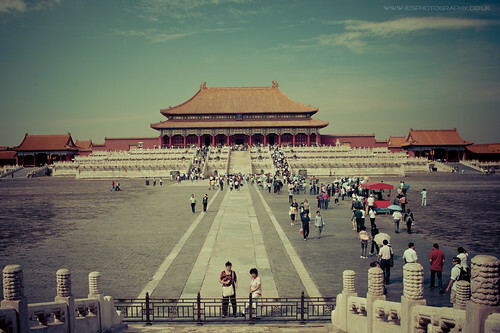 We ended up in Beijing which was by far the best place in China. 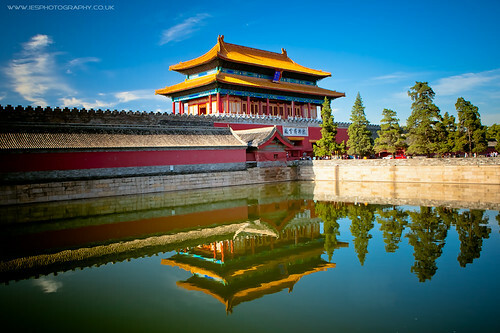 The Forbidden City was amazing! 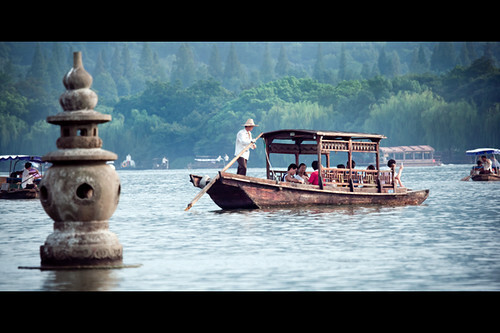 A boat sailing down Suzhou Street in the Summer Palace.